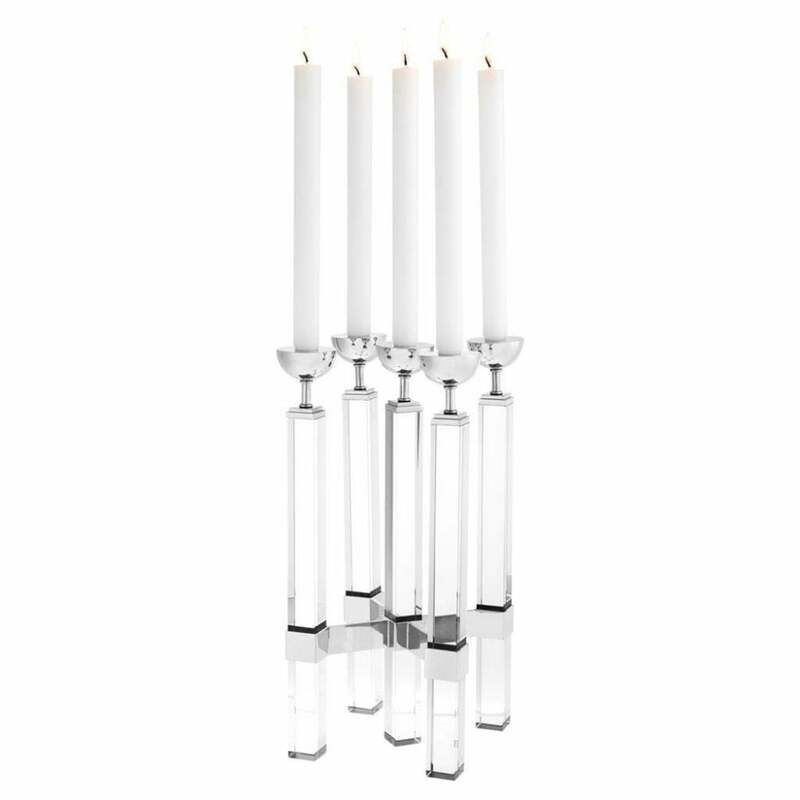 A modern interpretation of a candelabra, the Naturale Candle Holder by Eichholtz features five candle holders grouped together in a cross design. Crafted from polished nickel, the sculptural framework and half sphere holders add a contemporary touch to this luxury accessory. The tall crystal glass bases work beautifully with white and black candlesticks. Ideal as a dining table centre piece or to add modern ambience to a console table in an entranceway. The different elements of the design create an intricate visual display effortlessly bringing elegance to a formal setting. Pair with flowers and greenery for a chic look or position alone as a statement centrepiece at your next dinner party.